Todd Waldner brings over 33 years of triathlon training and racing experience to the club he founded in 2006. 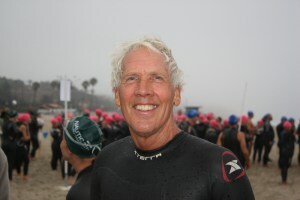 The Central Valley’s first USA Triathlon Level II Certified coach, Waldner puts great emphasis on training fundamentals and is highly skilled in his ability to communicate and motivate his athletes to achieve their best. Waldner earned his USAT Level II Coaching Certification and his USAT Youth and Junior Certification in 2011. These credentials qualify him as a triathlon coach under the strict guidelines of USAT (recognized as the National Governing Body of triathlon by the U.S. Olympic Committee, the International Triathlon Union and the U.S. Congress). Waldner is well versed in the areas of exercise physiology, nutrition, sport specific skill training, training plans, periodization and coaching ethics. Waldner’s passion lies in coaching youth and juniors and he constantly encourages and supports each athlete’s individual goals. Introducing young people to the sport of triathlon promotes individual goals and accomplishments within the synergy of a team environment. Waldner’s vision for iCAN Junior Triathlon Club came about while coaching his daughter, Chloe. He saw a need to broaden his positive coaching approach by introducing and engaging youth in the sport of triathlon. Since that time, Waldner has positively affected hundreds of youth through triathlon. Waldner’s efforts led his team to a first-place national youth club finish at the 2011 USAT Youth National Championships in San Diego and the Overall Team Champion at IronKids Triathlon in 2010 and 2011 also in San Diego. Waldner also coached one athlete to 3 consecutive USAT Youth National Championships in 2009, 2010 and 2011 and 2 consecutive IronKids National Championships in 2010 and 2011. In addition, several athletes attained podium finishes at both the USAT National Championships and IronKids National Championships in 2011. Waldner continues to produce club and individual championships with great success. With his long-standing involvement in the field of motivation and sports nutrition, Waldner brings all the necessary training components together to develop educated, confident and highly motivated triathletes. Known as “Coach Todd,” Waldner is an accomplished triathlete, participating in over 200 Olympic and Half Ironman distance triathlons throughout the United States. Waldner has consistently placed in the Top 10 in his triathlon career, including such well-known races as the Bud Light Triathlon Series, Chicago Sun-Times Triathlon, Monterey Bay Half Ironman and numerous other events.